In the last week, you’ve no doubt seen news and footage about the Typhoons in the Philippines Typhoon Mangkhut (also called Ompong). This dangerous super typhoon cut a path across the Pacific in a pattern that is typical for such storms this time of year. This particular one took the lives of more than 60 people in the Philippines and at least 4 in China, displaced at least 150,000 people, caused hundreds of millions of dollars in property damage and cancelled or rescheduled more than 2000 flights throughout SE Asia over just a few days. areas of Manila and Clark. For those sitting at home watching the news, you would be forgiven for thinking that such a storm in the past week has brought the Philippines to its knees. However, despite the tragic deaths that occur each year (or perhaps because of them), storms like this are considered a fairly normal event for the resilient people of the Philippines. 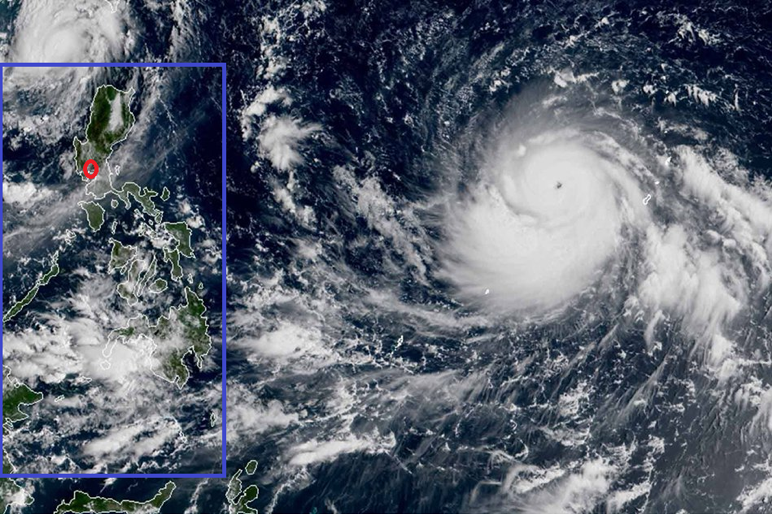 Due to its location, The Philippines is in the path of more typhoons than any other place on Earth. There will be 10-20 major storms every year that form in the warm waters of the Philippines Sea and track West until they hit the Philippines or China (or both, as Mangkhut did). For this reason, the major economic centres of the Philippines are very resilient to extreme weather. It is very unusual for even the biggest storms to affect businesses in Clark, Manila or Cebu city for more than one day. In Clark, the drainage and infrastructure is exceptionally good and so businesses are usually not impacted at all by storms. The surrounding areas have sufficient elevation and drainage to prevent rainwater building up, and generally, your staff will live in modern concrete or brick homes. In Manila, drainage is poor which results in bus routes easily becoming blocked just from slow draining rainwater. This does not affect the roads and buildings in the main commercial centres of Manila (they don’t “flood”), but it does prevent some staff from getting to work until the rain eases and road clear. There will be 1-5 weather events every year that prevent some of your staff getting to the office, so allow for a 10-20% staff reduction for 3-10 days per year if your team is in Manila. Some of those events also cause local flooding to their homes if they live in low lying areas with poor drainage. 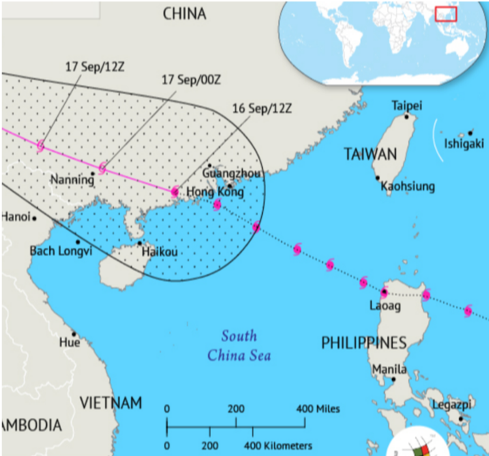 Nevertheless, for this particular storm (Mangkhut), neither Manila nor Clark experienced anything beyond some moderate rain typical for this time of year, because the storm was a long way North. So commercial BPO areas are well prepared for the common mid-year bad weather. The reason that these storms cause such large death tolls and capture news headlines is because of how they affect poor and rural communities. The population of these regional communities are generally living in dwellings made of bamboo with thatched or tin roofs, that are not capable of resisting the direct path of a major typhoon. The quality of these dwellings varies greatly, and it’s often the slum or poorest residential areas that are the worst affected. The other major contributing factor to death and injuries are landslides in mountainous areas. This year the storm badly affected Baguio for this reason – a mountain province hundreds of kilometres north of Manila, with a fledgling BPO industry. Fast flowing water from swollen streams running downhill, and at least one major landslide caused most of the reported deaths in the Philippines. Whilst these events are absolutely tragic for the families affected, you should look at them from the perspective of Filipinos, which is to say that they are also relatively normal. There will usually be charity drives throughout the Philippines to help affect areas recover. Meanwhile it’s business as usual through Manila, Clark and Cebu – the largest outsourcing areas. The business impacts of even the biggest storms are very minor, and you should not be discouraged from setting up your team in the Philippines due to reports of storms in the Philippines. Furthermore, the bigger the team you establish, the more you help the country to prosper, and gradually improve its infrastructure in regional areas, to resist such storms. The Philippines itself is 300,000 square kilometres of land mass – it is a big area. It’s length north to south is about the same distance as Melbourne to Brisbane. As such, the weather event you see on the news is unlikely to even be affecting your team’s location – just the same as it is impossible for a storm in Brisbane to cause damage in Melbourne or even Sydney. Top offshore talent, working directly for your Australian / NZ / UK /US company, from our A-grade facility in the Philippines. Only the top 5% of technical staff offshore won’t leave you with a bad taste.